Before Gutenberg invented the printing press in 1440, there was only one way to get a copy of a book…handwrite a copy of it. This tedious and time-consuming fell to the medieval scribes, men who were employed to hand copy entire books from the original. This meant long hours, days, and weeks with a quill in hand, meticulously re-writing the text, talk about writer’s cramp! 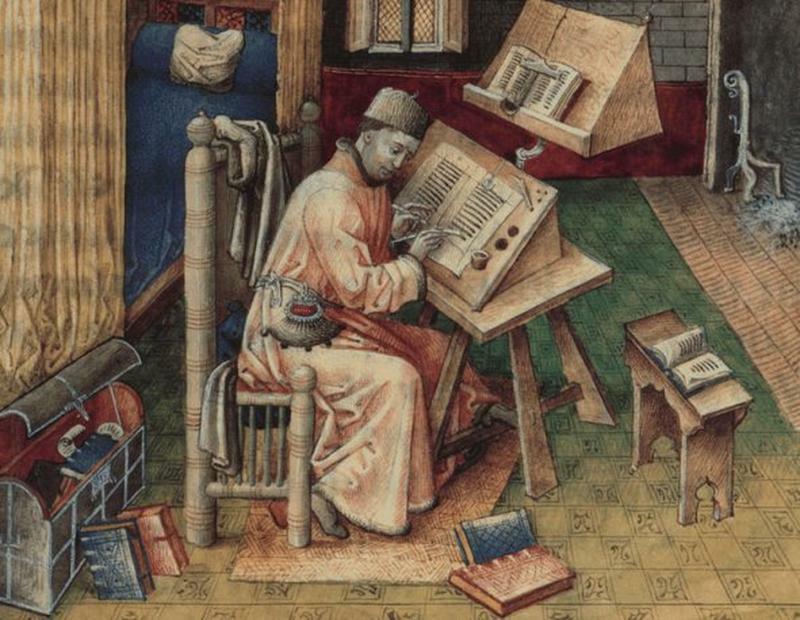 Here is what life was like for a medieval scribe. Not all Scribes were Literate! 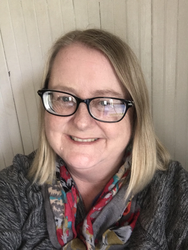 Larger cities and churches employed their own scribe, but if you lived outside an urban area and you needed someone to copy a book for you, your first task was finding someone who could read and was willing to do the work. This was not an easy feat. 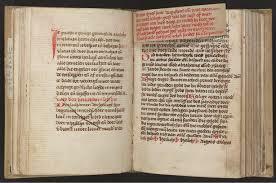 Very few people could read and write in the Middle Ages. And the time required to copy a book would have drastically cut into a man’s day job. 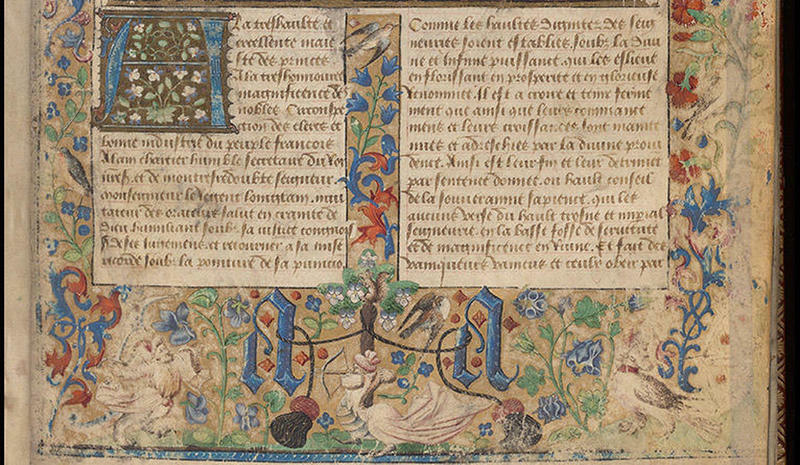 Researchers studying medieval manuscripts have often found errors and illegible writing that, they theorize, was because the scribe was actually illiterate and was only trying to copy the images of the words on the page without understanding the meaning. More important than being literate was having good eyesight. 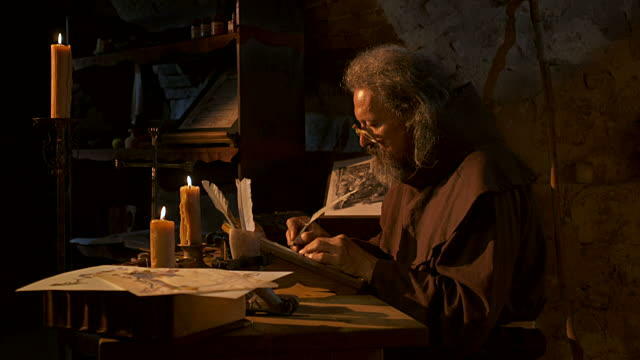 Medieval scribes did most of their work in poorly-lit working conditions with the only light coming from windows or candles. On cloudy days, they would have to squint and examine the page closely to be able to read and re-write it. Eyesight, especially in the Middle Ages, decreased over time. Because of this, historians now believe that most medieval scribes were probably teenage boys or young adults. Younger scribes would naturally have better vision, but also the endurance and enthusiasm to work the long, boring hours needed to do their work. 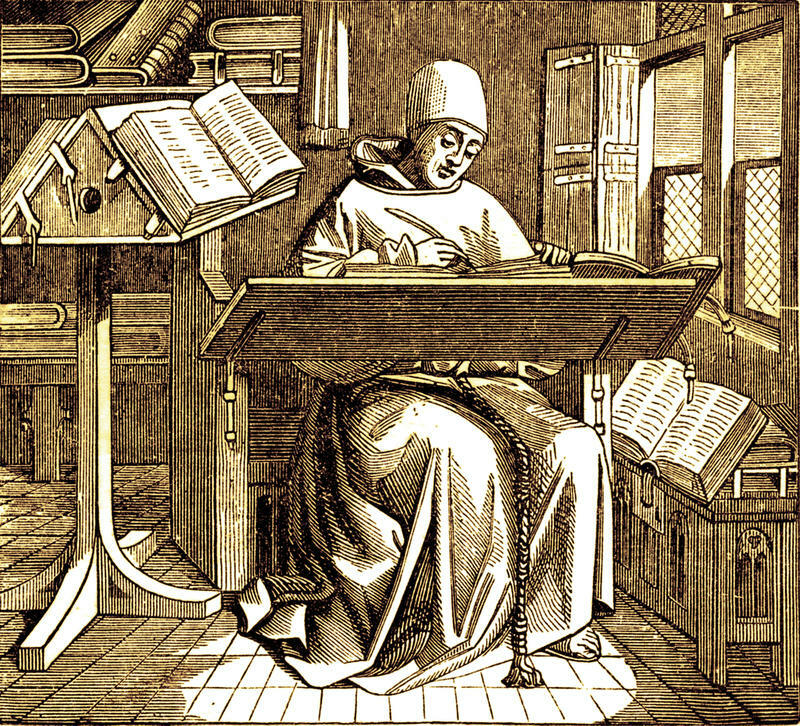 The desk that medieval scribes used were different than today’s flat work surfaces. 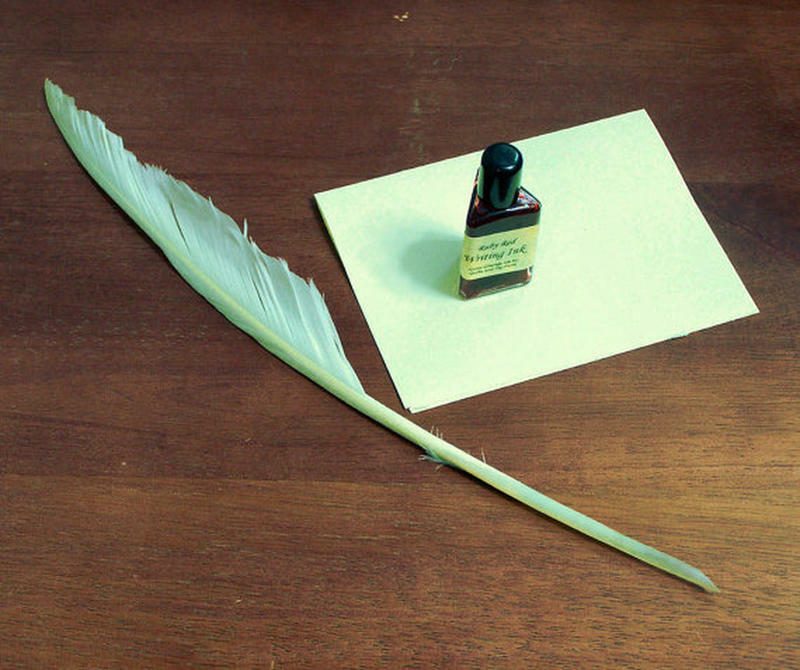 Medieval scribes wrote with quill pens dipped in ink. They could do their work—using the tools at hand—more effectively if their writing surface was propped up at a 45-degree angle, much like a podium or lectern. The incline helped the ink flow better. But the angled desk made it difficult to work while sitting. 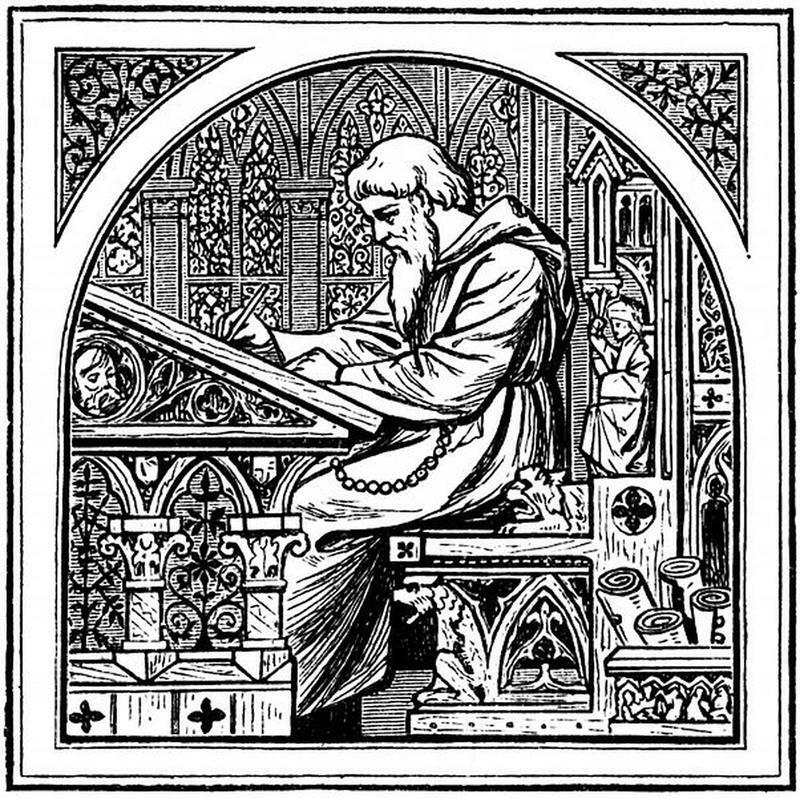 Most medieval scribes did their work standing up. Medieval scribe had to be diligent and detail-oriented, but still, mistakes happen. If a scribe did make a mistake, it was an arduous process to fix it. First, the scribe had to wait for the ink to completely dry so it wouldn’t smear. Then he would take a sharp knife and scrape off the top layer of parchment to remove the ink. 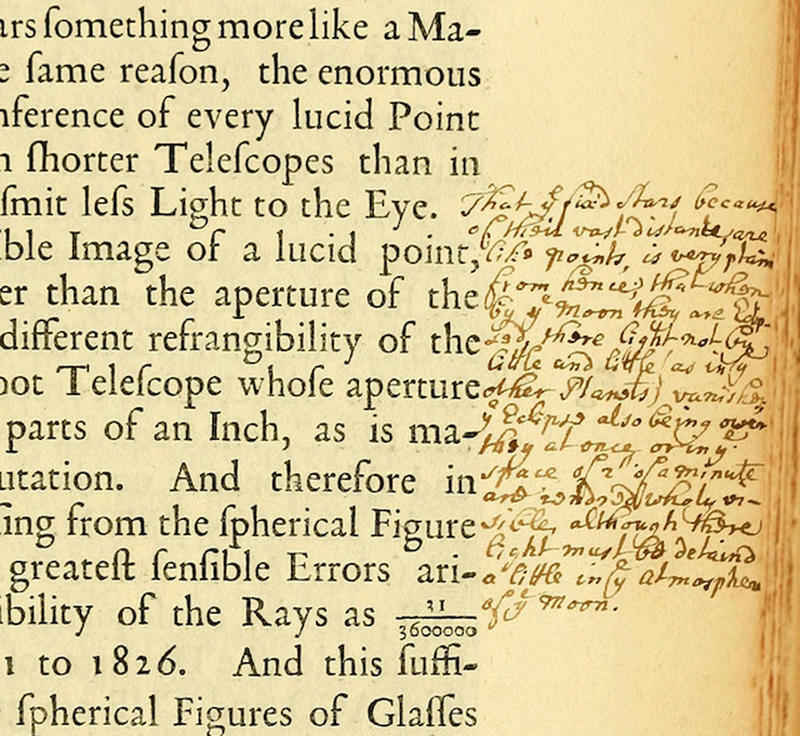 The scribe took measures to prevent mistakes, including sketching in faint pencil lines. The researchers studying medieval manuscripts can identify inconsistencies in the ink and quills used to write the book. The inks that the medieval scribes used were hand made in small batches using natural ingredients. No two batches were the same. You can tell where one batch of ink ran out and another started. The same is true for the quills. Because they were made with feathers, there was no consistency. Each one wrote slightly different. Medieval books contain lots of misspelled words. Of course, conventional spelling was not a thing in the Middle Ages, but some errors could be because the scribe didn’t know the word he was copying so he replaced it with a word he did know. Switching one word for another could change the meaning, though. Other errors occurred when the scribe skipped an entire line of text or repeated words or sentences.